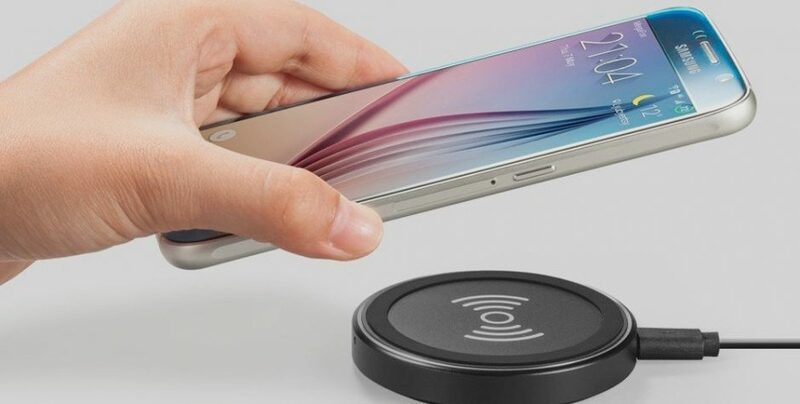 Wireless cell phone charging is no longer the future because it’s here. Just about every high-end phone can charge up on some inductive platform. Charging-at-a-distance, on the other hand, is the future: the technology converts wireless signals into electricity to charge phones, tablets and other small gadgets. Energous is the latest charging-at-a-distance company to throw its hat in the ring, but it has a significant leg up over its competitors: It’s just become the first-ever technology of its kind to get FCC approval. Energous released a statement that explained its accomplishment. The Federal Communications Commission can certify charging-at-a-distance technology, since it technically takes advantage of radio frequencies to transmit a signal. “As the first FCC certification for power-at-a-distance wireless charging under Part 18 of the FCC’s rules, this development represents a new era of wireless charging, and opens up a tremendous opportunity for the electronics industry,” Energous announced. Part 18 of the FCC rules deal with “Industrial, Scientific and Medical Equipment.” Before selling new technology in the United States that takes advantage of radio frequencies, companies must seek FCC approval and abide by rules concerning operating procedure, interference and restricted radio bands. It’s not terribly interesting to the average consumer, but the bottom line is this: the company probably did not go through all the trouble of getting FCC approval if it doesn’t intend to bring the product to market within a reasonable interval. And the FCC probably wouldn’t grant approval if Energous’s wireless charging didn’t at least kind of work. Even so, FCC approval is not an endorsement of the product or its underlying technology. As far as what Energous claims to do, it’s pretty much what it sounds like. The company says it has developed a field transmitter called WattUp, which beams a signal via radio frequency to any device with a WattUp receiver attached. WattUp is platform-agnostic, meaning you could theoretically buy a charger for any phone, regardless of who makes the device. The technology can theoretically charge devices quickly via wireless contact charging, or more slowly just by being in the general vicinity of the WattUp transmitter. Right now, Energous says its transmitter works at distances of up to 3 feet. Energous aims to demonstrate its power-at-a-distance technology at CES 2018 next month. Even if the technology works as promised, there’s no indication of how much it might cost — or if smartphone producers will be willing to start incorporating it into their handsets. Still, if the FCC thinks there’s something to it, maybe this is a charging technology worth keeping an eye on in 2018.